Attraktiver Athlet. 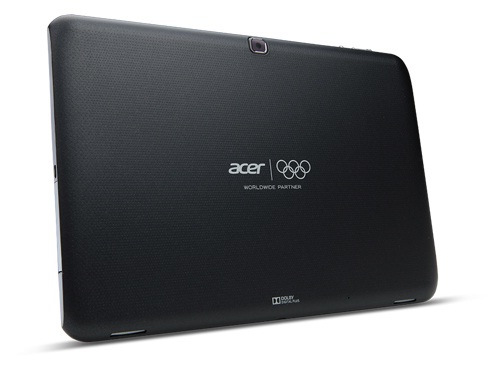 Pünktlich vor dem Start der olympischen Spiele bringt Acer mit dem Iconia Tab A510 ein 10,1-Zoll-Tablet mit aktueller Hardware. Für 399 Euro (UVP) sind ein Nvidia Tegra 3 SoC, 32 GByte interner Speicher und Google Android 4.0 ICS an Bord. Wir überprüfen die Qualitäten des Tablets. A 32GB A510 will set you back £130 more than a 16GB Nexus 7. For the extra you get a larger screen, twice the storage, an expansion slot, an HDMI port and that handy USB adapter. On the downside the screen isn’t as good as the latest AMOLED and IPS devices and it’s a bit plain and heavy. Still, until a Nexus 10 arrives – if it ever does – the Acer makes a lot of sense and represents good value for money. 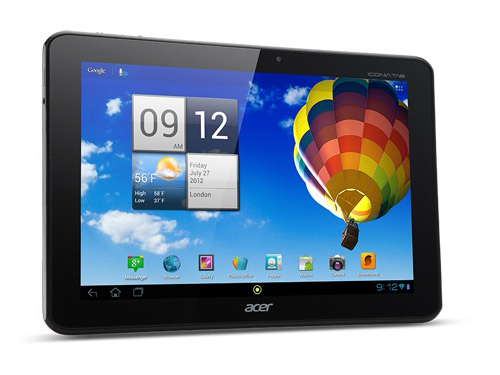 The Acer Iconia Tab A510 Olympic Edition won't be winning any Gold medals in our tablets chart. Its battery life is strong, and up there with the iPad, but once the games have finished there's little else here for us to recommend it over other high-end slates. The Acer Iconia Tab A510 may be a bit of a chunky tab, with a waistline that is more 2010 than 2012, and it may have a HD screen that is hardly likely to cause any worry over in camp Apple or Asus but, at less than £350, this is a tablet that’s more than worthy of your attention. For your financial outlay, the Acer Iconia Tab A510 represents a shrewd investment, especially for people willing to accept a few minor flaws. There are cheaper tablets out there running Ice Cream Sandwich, such as the Scroll Extreme Tablet PC and the Disgo 9104, both of which will cost you around £150 less, but these budget offerings do not offer the sheer power of the Tegra 3 platform, and the lightning-fast Android 4.0 experience. Slapping a price tag of £400 on any tablet, however, brings it in direct competition with the fabulous Retina-screened iPad, and much as we like it, this Acer isn't that good. 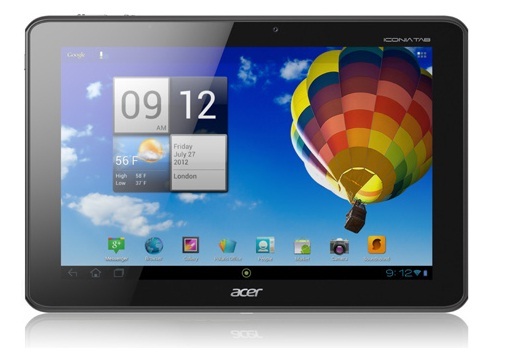 Acer's Iconia Tab A510 promises a huge 15 hours of battery life for "all day use". If this quoted figure is close enough to the mark, the Iconia Tab A510 will undoubtedly be the market leader in tablet battery life. Unfortunately for the A510, you can get more capable tablets for less. The Asus TF300T, at $399 for a similar 32GB model, gives you 95 percent of the A510's speed, along with a better camera and slimmer form factor, for less money. The Apple iPad 2, currently running $399, is another prime competitor—it isn't as fast as the Iconia 510, but it has far, far more tablet-optimized apps. I'd also keep an eye out for Toshiba's upcoming tablet line, which we did a recent hands-on with. It promises Tegra 3 power and Android 4.0 with USB host mode in a sleeker body. For $449, the Iconia Tab A510 offers impressive performance and graphics power, a compelling suite of apps and nearly 8 hours of battery life. Unfortunately, the A510 is shoehorned between the 32GB ASUS Transformer Pad TF300, which offers quad-core power for $50 less, and the 16GB new iPad, which is $50 more, but offers a much sleeker design, superb screen and a larger selection of apps. And even though it's not quad-core, we also prefer the $448 Samsung Galaxy Tab 10.1 to the A510 because its slimmer and has a better screen. Positive: Quality finish; very good performance; ring handy; price. Negative: Camera; colors of the display.